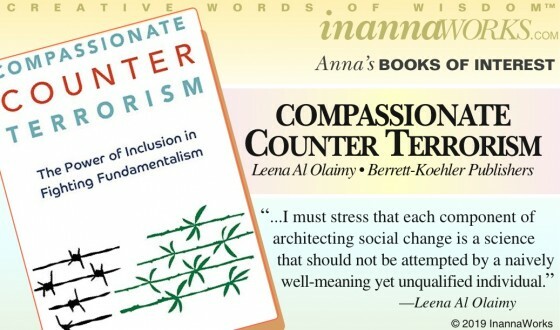 This is a cautionary tale, written softly in an amazingly well-crafted and scholarly tome, in a world where it is an act of courage for a Muslim woman to step forward and discuss terrorism. Maintaining a sense of calm and even-handedness, she wields her words as if her life (or ours) depended on it. She differentiates between Islam (her religion) and Islamist (the political use of Islam “by astute politicians tapping into deep-seated populist frustrations”). She writes compellingly, but her currency is facts and figures. And the facts and figures add up to the failure of violence as a means to contain radical fundamentalism. She doesn’t mince words in speaking of the “origins of moral outrage which violent radical Islam exploits”. Nor does she demonize the likes of Donald Trump (“…the deadliest toll has been exacted on the innocent people of Arab, Muslim and Middle Eastern nations…This region should not be a place which refugees flee, but to which newcomers flock…”) and George W. Bush (“…when governments fail to meet the most basic needs of their people, these failed states can become havens for terror…Development provides the resources to build hope and prosperity, and security”). If radical Islam is working to “Eliminate the Grayzone” (where diversity, inclusion, mutual respect and coexistence between muslims and non-Muslims are safeguarded without coerced conformity), then this book is about how to preserve the Grayzone and make the world a safer place. This entry was posted in Anna's Books of Interest, Berrett-Koehler. Bookmark the permalink.